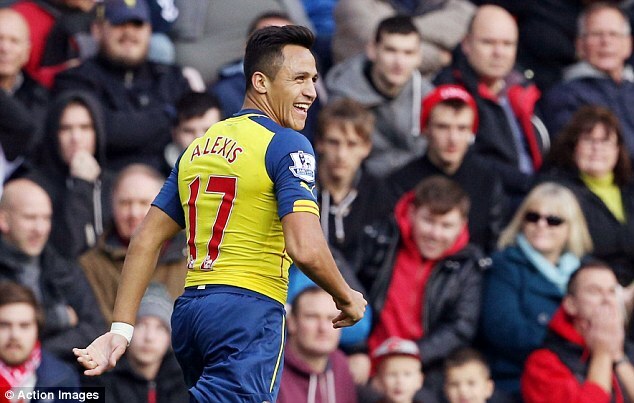 Alexis Sanchez: The best thing ever. Most teams wouldn't enter this match with any trepidation; after all, Burnley are without a win all season. Then again, most teams don't make everything as difficult as Arsenal. I can't be the only one who has that sinking feeling, right? This is the kind of match where the opposition sets out to be difficult to break down at the start, where Arsenal often struggles to find that first goal. If Arsenal struggles creatively, as they have so often this year, this match could end up feeling a lot like last weekend's dour affair in Sunderland. There's no question that Arsenal possess the quality to easily capture all three points from the league table's basement club. There was no question about having that quality against Anderlecht and Sunderland as well, and while Arsenal did take all six points from those matches, they made it as difficult as possible. The Gunners have comfortably won just twice this year (Aston Villa and Galatasaray;) my stress levels could really use a third such win. week's match with a hip problem. We're getting to the point where listing all of the players who are "lacking match fitness" can't really be listed as doubts anymore, because they're going to have to start playing some time. 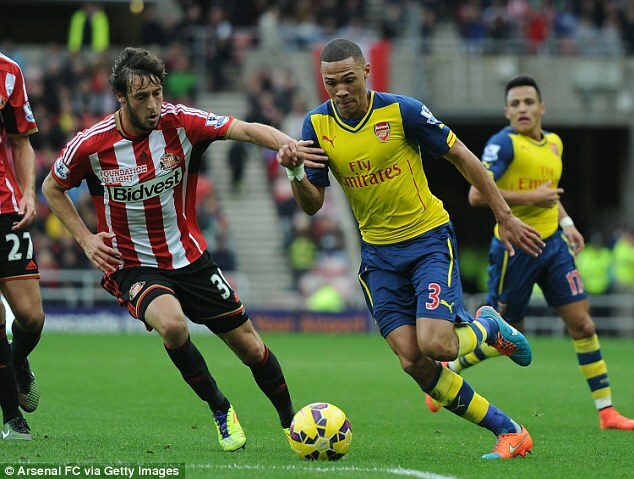 Theo Walcott was unused off the bench last weekend; perhaps this is the match where he finally makes a cameo? As for the actual starting XI, I haven't heard any news about the hip injury that forced Kieran Gibbs off last weekend; to be safe, He's officially listed as a "doubt," but I think the expectation is it's not that serious. Jack Wilshere returns from suspension and Aaron Ramsey should be available to start again as he returns from a hamstring problem; the Welshman only appeared from the bench in Sunderland. All that included, it's time to start asking some questions, and the largest is one of rotation. Will Arsene Wenger ring in some changes to the XI, with a Champions League fixture looming on Tuesday? One quote he gave (when referring to the odds of playing Walcott) seems to suggest he might not, as he said, "We dropped points at home unexpectedly against Hull and that's why we have to focus on winning the Burnley game before I can plan giving Theo some competition." This seems to suggest that the boss is focusing on securing the three points first before mixing and matching his squad. Predicted XI: Szczesny, Chambers, Mertesacker, Monreal, Gibbs, Arteta, Ramsey, Wilshere, Cazorla, Alexis, Welbeck. 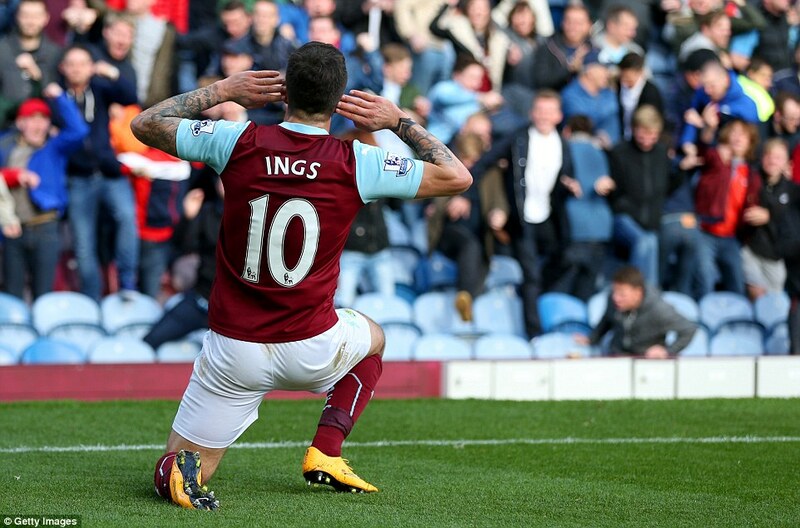 Danny Ings signals that he has a hearing problem. The Clarets are without two summer midfield acquisitions as Steven Reid is out with a groin injury and Matthew Taylor is out after undergoing a minor Achilles operation. Meanwhile, Sam Vokes, who has been with the club for two years, also remains out after an ACL injury last March. There are doubts over Dean Marney, who has not played since September with a hamstring injury, though he may be close to a return. Sean Dyche is expected to play it safe with his formation and will likely field a 4-5-1; the Clarets played a 4-4-2 through their second place finish in the Championship last season and like to play it out from the back. Against Arsenal at the Emirates, they'll probably need to pack the midfield a little more. Burnley played a 4-4-2 against Everton at Turf Moor last weekend and gave the Toffees 62% of the possession in a 3-1 loss. To play a 4-5-1, Danny Ings will likely be the Clarets' only forward, while Lukas Jutkiewicz will drop to the bench in favor of a fifth midfielder. Predicted XI: Heaton, Trippier, Duff, Shackell, Mee, Kightly, Jones, Chalobah, Boyd, Arfield, Ings. 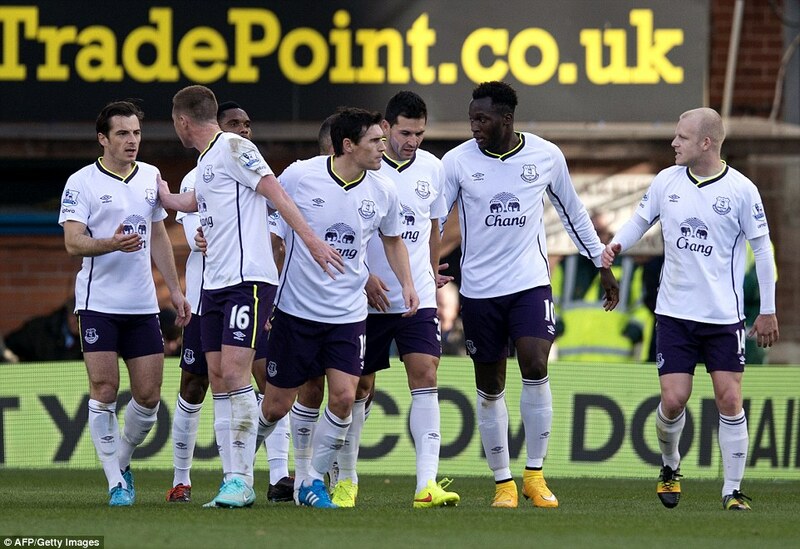 Everton celebrate a goal at Turf Moor last week. Arsenal's late equalizer against Hull two weekends ago saved their home streak in the Premier League; the Gunners have not lost at home in the league since the season opener against Aston Villa last year, a streak that has now reached 22, 22 undefeated. 22, 22, I say. Arsenal have made difficult work of the past week of matches, but they did take two wins from as many games against Anderlecht and Sunderland, and ultimately, you can'd do more than that. That means, across all competitions, Arsenal are now three, three undefeated... wow, that doesn't work as well. It's also the first time they've won two straight since the span between last season and the start of this season. Last-place Burnley, on the other hand, are the only team in the Premier League that have not won a match this year. They are already five points from safety, having drawn four matches and lost the other five. They have two draws away from home, against Crystal Palace and Leicester City, which is an improvement on their road record from the last time the Clarets were in the top flight, when they didn't pick up their second point away from Turf Moor until April 10. Burnley have scored just five goals all season (four of them coming in their last three matches) and have conceded 16. They had gone three straight matches with clean sheets at one point in the league (all of which ended 0-0,) but have picked the ball out of their net 12 times in the last four matches since. wore "Get Well Soon Aaron" shirts during warm-ups. Only two of the players in this photo are still with Arsenal. Arsenal took four of a possible six points from Burnley the last time the Clarets were in the Premier League, in 2009/10. At Turf Moor in December of 2009, Cesc Fabregas scored in the seventh minute, then picked up a hamstring injury that basically hung with him for the rest of his Arsenal career. Later in the first half, Thomas Vermaelen conceded a penalty as Burnley equalized. The match ended drawn at 1-1; it was one of the early matches in the long "Arsenal inexplicably can't win with Mike Dean" streak. In this corresponding fixture, Arsenal led again through Cesc Fabregas before Burnley equalized again. 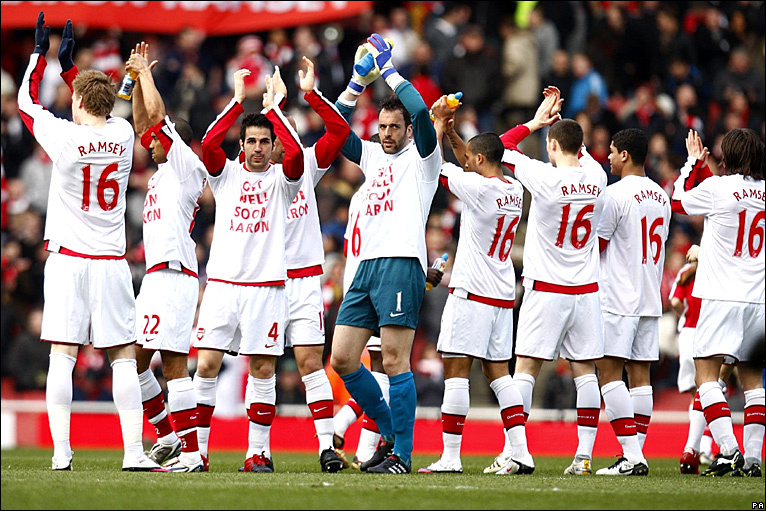 At the Emirates, however, Arsenal got later goals from Theo Walcott and Andrei Arshavin to win 3-1. Nicklas Bendtner famously missed about three sitters in this match; he would go on to score a hat trick in the Champions League against Porto three days later. Burnley's last win at Arsenal came on September 7, 1974, by a 2-1 scoreline. While that may seem like a long time, it really just means Arsenal have won three straight home matches against the Clarets; prior to 2009/10, Burnley had not been in the top flight since 1976. The referee is South Yorkshire-based Craig Pawson. This is the second time in three Premier League matches where Arsenal will be seeing a referee for the first time, after Roger East for Arsenal v. Hull. Pawson has been the fourth official for Arsenal on a number of occasions, most notably the FA Cup semi-final last season. This is already Pawson's second Burnley match of the season; he previously took charge of the Clarets' 1-0 loss at Swansea in August. Pawson did not referee a match last week; he was the fourth official for West Ham v. Manchester City. Prior to that, Pawson was the referee for the Crystal Palace v. Chelsea match, which saw each side have a man sent off three minutes apart.